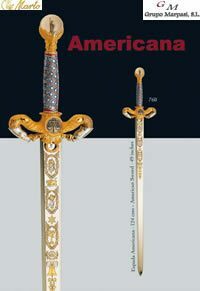 American sword with a gold finish. 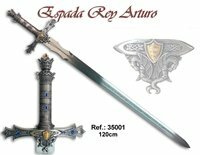 King Arthur sword, 120 cm. 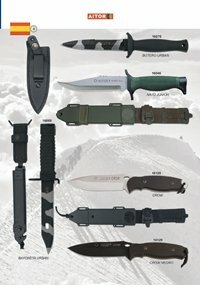 Apocalypse Rider Sword. Briquet Sable. Sword barbarians and gentlemen 538 Sword Lancelot. 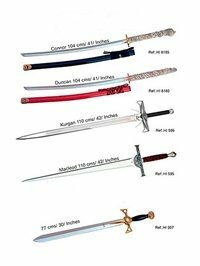 539 Sword Ivanhoe. 540 Sword Conan. 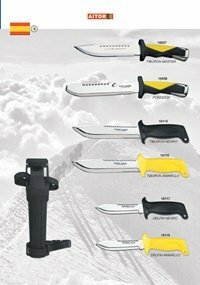 580 Sword Prince Valiant. 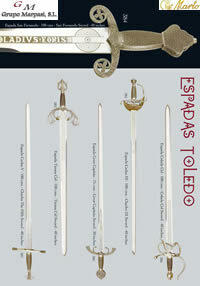 Cadet Swords: Excalibur Gold, Excalibur Silver, Templars, Masons, Richard Heart of Leon and Boabdil. 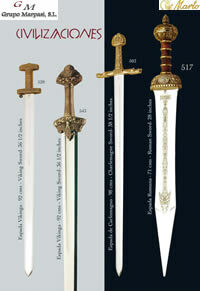 Swords civilizations 503 Sword Charlemagne. 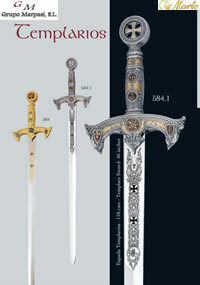 517 Roman Sword. 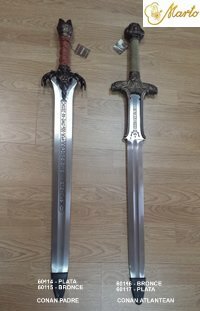 520 Sword wikinga. 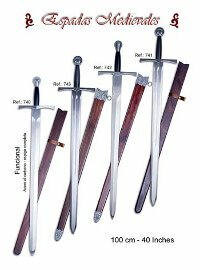 543 Sword wikinga. 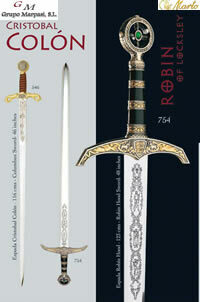 Swords Cristobal Colon and Robin Hood 546 Sword Cristobal Colon. 754 Sword Robin Hood. 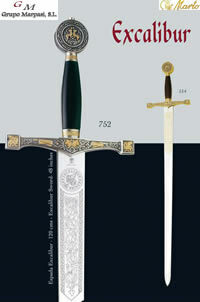 Swords Excalibur 514 Sword Excalibur. 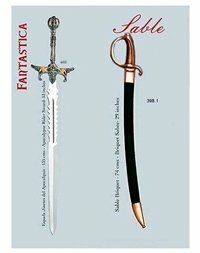 752 Sword Excalibur. 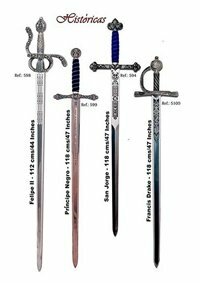 Historical Swords: Philip II, Black Prince, St. George and Francis Drake. 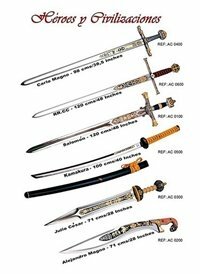 Swords of heroes and civilizations. 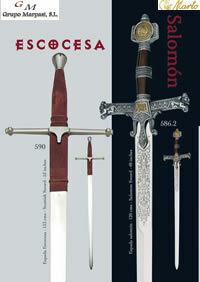 Swords Legend 564 Sword Roldan. 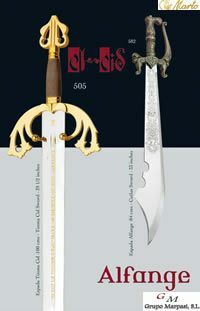 566 Sword Barbarossa. 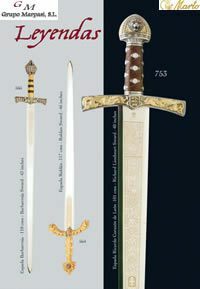 753 Sword Richard the Lionheart. 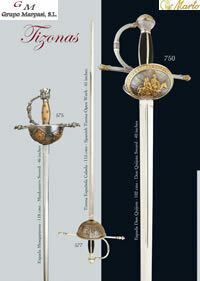 Swords double hands b> 335.1 Sword Kings Catholics. 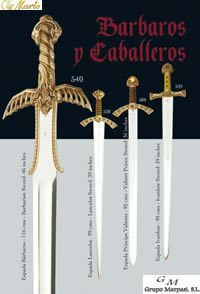 337.1 Sword Charles V. 751 Sword Clayrome. 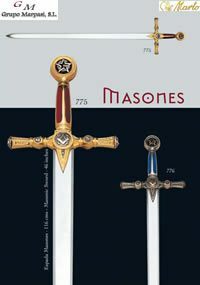 Masons Swords, master and apprentice degree. 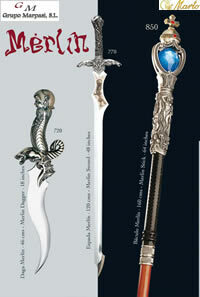 Swords Merlin 720 Merlin Dagger. 770 Sword Merlin. 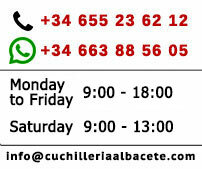 850 Baculo Merlin. 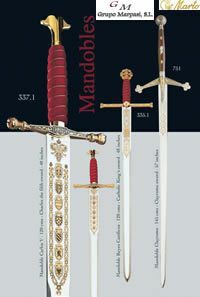 Sheaths of the Masonic, Excalibur and Templar swords.